The following first appeared in the Baltimore Sun. 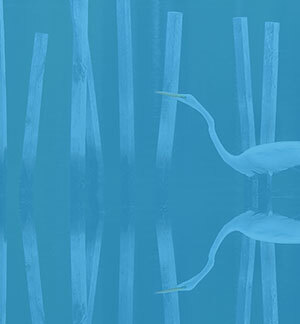 Critters like this blue heron depend on the implementation of the Chesapeake Clean Water Blueprint. Photo by Steve Aprile. Last week, the U.S. House of Representatives approved anti-Save-the-Bay legislation that would turn the U.S. Environmental Protection Agency into a paper tiger when it comes to reducing Chesapeake Bay pollution. Fortunately, there was some good news. Every Maryland representative, on both sides of the aisle, voted against the measure. The entire delegation understands the value of the Chesapeake Clean Water Blueprint and the need for states that aren't making sufficient progress to be held accountable. A recent EPA report said Pennsylvania is failing to meet its pollution-reduction goals. CBF thanks the delegation, especially Rep. Chris Van Hollen who immediately went public to decry the amendment and urged his colleagues to take a stand. Rep. Andy Harris also has spoken out in favor of clean water by voting in opposition to his Republican colleagues who proposed the amendment. All six states in the Chesapeake drainage area and the District of Columbia voluntarily agreed to collaborate on the Blueprint and to be held accountable for lack of progress. EPA is charged with imposing penalties for failure. The collaboration among states and federal agencies is working. Oysters are making a comeback. Bay grasses and summer oxygen levels are increasing to levels we haven't seen in decades. Congress should maintain the federal commitment to the Blueprint and fully fund its implementation. If not, the bay may go the way of Lake Erie, once declared saved but now worse than ever. The representatives below stood by the Chesapeake Clean Water Blueprint voting against this bad amendment. If you live in their districts, please take a moment to thank them! Representatives Beyer, Carney, Cartwright, Comstock, Connolly, Cummings, Delaney, Edwards, Forbes, Gibson, Hanna, Harris, Hoyer, Rigell, Ruppersberger, Sarbanes, Scott, Van Hollen, and Wittman.